In Voice, Adam Pottle explores the crucial role deafness has played in the growth of his imagination, and in doing so presents a unique perspective on a writer’s development. Born deaf in both ears, Pottle recounts what it was like growing up in a world of muted sound, and how his deafness has influenced virtually everything about his writing, from his use of language to character and plot choices. 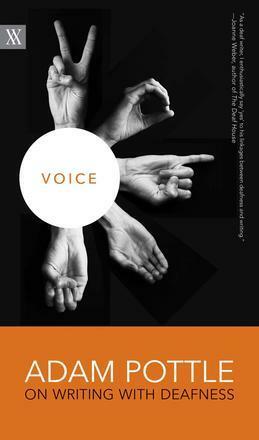 Salty, bold, and relentlessly honest, Voice makes us think about writing in entirely new ways and expands our understanding of deafness and the gifts that it can offer.